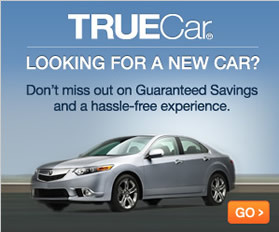 No longer are SUV shoppers forced to compromise fuel economy. In the eyes of many automotive critics, the new Toyota Highlander Hybrid is nothing short of an engineering masterpiece. The three-row crossover’s efficient design and muscular performance have captivated the automotive world. Up to eight passengers can travel in pure luxury. Because the Highlander Hybrid is such a new model, no changes have been made for 2016. Leather upholstery adorns the entire cabin. Featuring a total of 12 speakers, the amplified JBL audio system is destined to satisfy music lovers. A high-tech gauge cluster enables drivers to quickly access information while on the go. Highlighted by an 8.0-inch touch-screen display, the Entune infotainment unit comes loaded with useful apps. Heated and ventilated front seats further enhance comfort. Meanwhile, an optional rear-seat entertainment system ensures that children remain satisfied on long road trips. This trim is loaded with all of the available goodies. A heated steering wheel and heated second-row seats come standard. When cruising along on a beautiful day, the panoramic sunroof enables everyone to enjoy the scenery. Adaptive cruise control takes the SUV's luxuriousness to the next level. 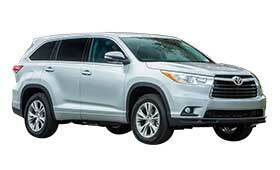 Chosen as a Top Safety Pick+ by the IIHS, the new Toyota Highlander Hybrid proves to be one of the safest family haulers on the market. The standard backup camera allows drivers to easily maneuver in high-traffic areas. When traveling on the interstate, blind-spot monitoring keeps an eye out for oncoming vehicles. The optional safety innovations include automatic braking technology and lane departure warning. The eco-friendly SUV’s strong output will change your entire perception of a hybrid. Assisted by a tandem of electric motors, the V-6 engine is able to develop a stout 280 horsepower. With a 0-60 time of 7.8 seconds, the Highlander Hybrid is definitely quick enough to keep drivers engaged. Owners will also be able to tow an impressive 3,500 pounds. Not only does the Toyota Highlander Hybrid deliver superb fuel efficiency, but it also runs perfectly fine on regular unleaded fuel. Gas mileage stands at an inspiring 27 mpg in the city and 28 mpg on the open highway. A special EV mode allows the hybrid to run purely on electricity for a short distance. Drivers will immediately notice the SUV’s responsive character on the road. The CVT system does a great job of transferring the power. Although the Highlander Hybrid is a rather large vehicle, its confidence-inspiring handling makes it feel much smaller. A double-wishbone suspension also helps ensure a comfortable ride. Toyota’s On-Demand AWD system comes standard. It is hard to overlook the Highlander Hybrid’s athletic styling. A set of 19-inch Chromtec wheels give the Highlander a muscular stance. Meanwhile, the eye-catching front grille helps keep fresh air flowing into the hybrid's engine. Some of the stunning exterior colors include Nautical Blue, Ooh La La Rouge, and Alumina Jade.